You are not alone! 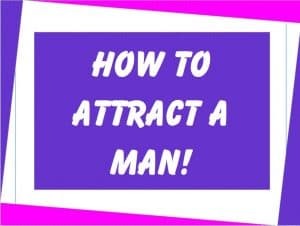 Read on to discover how to attract a man when you are dating after 40 or dating over 50. These methods may surprise you. Do you notice men around you? Many of the women who come to me for dating coaching insist there are no single men where they live. They simply don’t SEE them. Okay single gals, it’s time to WAKE UP to all the men around you. Yes, MEN ARE EVERYWHERE even if you don’t notice them. How can you build your awareness? Set an intention to notice men every morning. If you get very task focused, and realize it – remember part of your awareness today is set for seeing men. They pass by on he sidewalk, stand with you in the elevator, stand in line at the bank, etc. 2. Smile at the Men You See! I know I say this all the time, but apparently I need to keep saying it. Most women just won’t smile at a man. You are worried that if you acknowledge that a man has spotted you (or you have spotted him) you’ll be starting something you can’t get out of. But that is NOT TRUE. A simple smile is so delightful, but it comes with no promise for anything more. When you smile at men you can make their day! And, when he feels good and you see that transformation, you’ll feel good too. Your smile is basically nothing more than a bit of friendliness in a rather unfriendly world. Plus, it is a basic form of acknowledgement that most people today don’t get nearly enough of. When was the last time you gave a man a compliment? Come on now, admit it -it’s been years! If you enjoy a good compliment, how do you think a man will feel after you let him know you approve of something about him? He’ll be beaming And trust me, that WILL REFLECT WELL ON YOU. Tell him that color looks good on him, notice his watch or his tie. It’s not very personal, but if you want to catch a man’s attention PRAISE WORKS WONDERS. As Austin Powers would say, “Yeah Baby!” Quit throwing on anything old thing to run to the store or do errands. Think about your presentation because remember, men are everywhere. Since that’s true, put some thought into what you look like. This isn’t about plastic surgery or exercising with P90X. The idea is to make the most of who you already are. Do you do that on a regular basis? I doubt it. Put on something that makes you feel FABULOUS. Chose colors that suit your skin tone and clothing that leverages your assets. If you don’t know what to wear, ask a friend who has style or loves fashion. This is easy so no excuses. 5. Put Some Effort into Your Man Hunt! Some how women have gotten sort of, well…lazy about looking for a romantic partner. I know that might offend some of you, but it’s completely true. 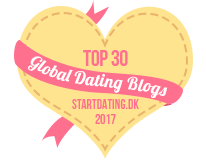 I am amazed when I ask my clients, “What did you do this month to meet men and find love?”, how little they have to say for themselves. Nothing in life is easy – haven’t you noticed that? So why should finding love be like a Disney movie? Love is magical, but you’ll need to make an effort, carve time out of your calendar and raise your romantic consciousness. Education is key because as a dating coach for women over 40 I’ve discovered most single gals know very little about how dating works today. Most don’t know much about understanding men either. That’s OK, just start learning what you can. Reading my blog is a great start. To see where you stand, take the The Love Mindset Quiz. 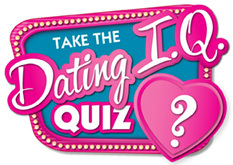 Answer the questions honestly, get your score, then follow the instructions and you’ll be on your way to meeting more men and finding love. What Attracts a Man to a Woman? Feminine Charm! At 65, What Do I Wear on a First Dinner Date?